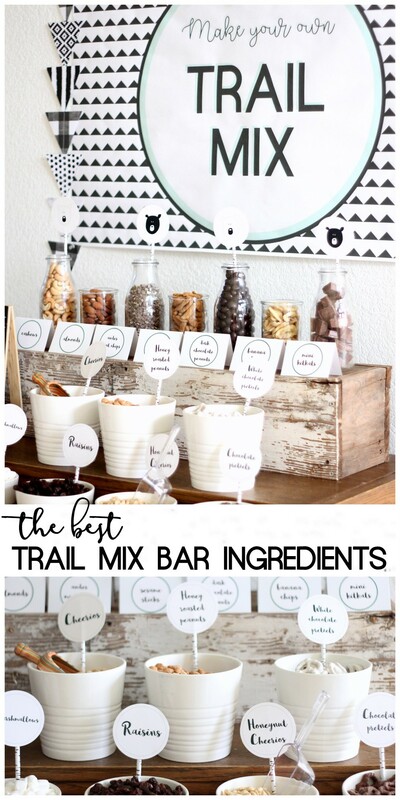 Before putting together the Trail Mix Bar for Bohden’s Bear Party, I scoured the internet for trail mix recipes. 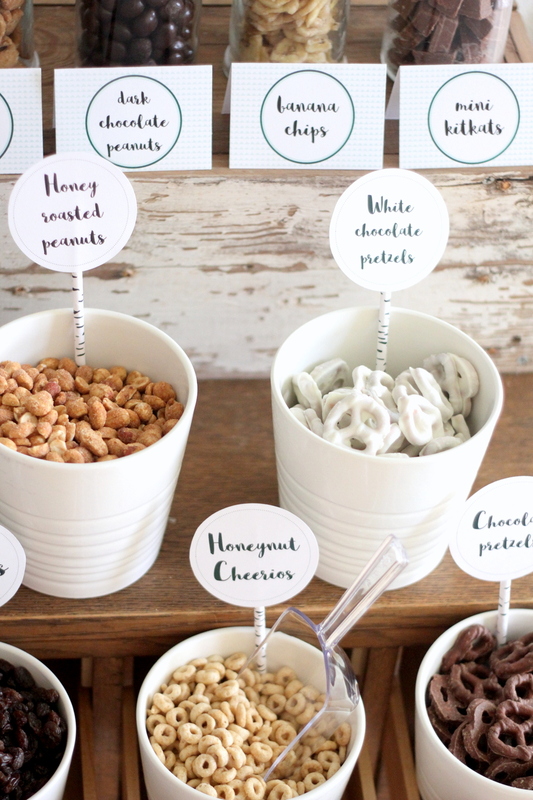 Then I added ingredients to the party bar, trying to offer elements from each flavor and texture category (plus a few of our favorite extras, just for kicks). 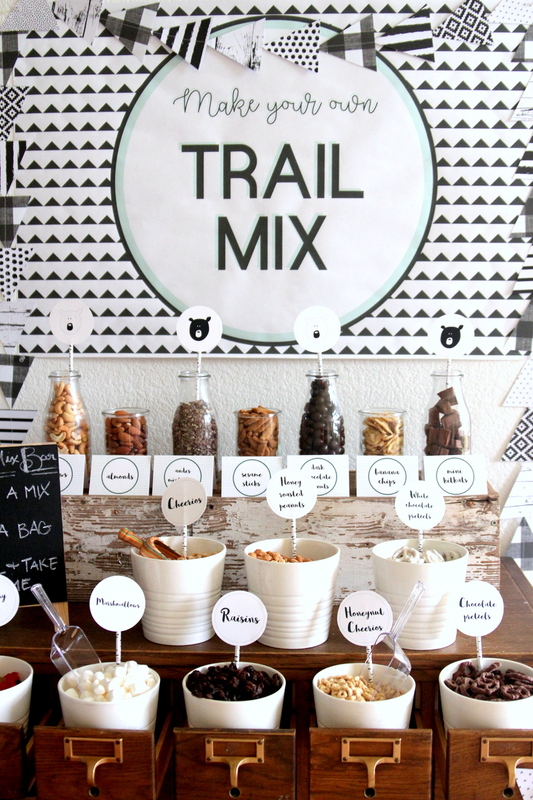 The key to making a great trail mix seems to be a combination of flavors and textures- salty + sweet + spicy + crunchy + chewy. 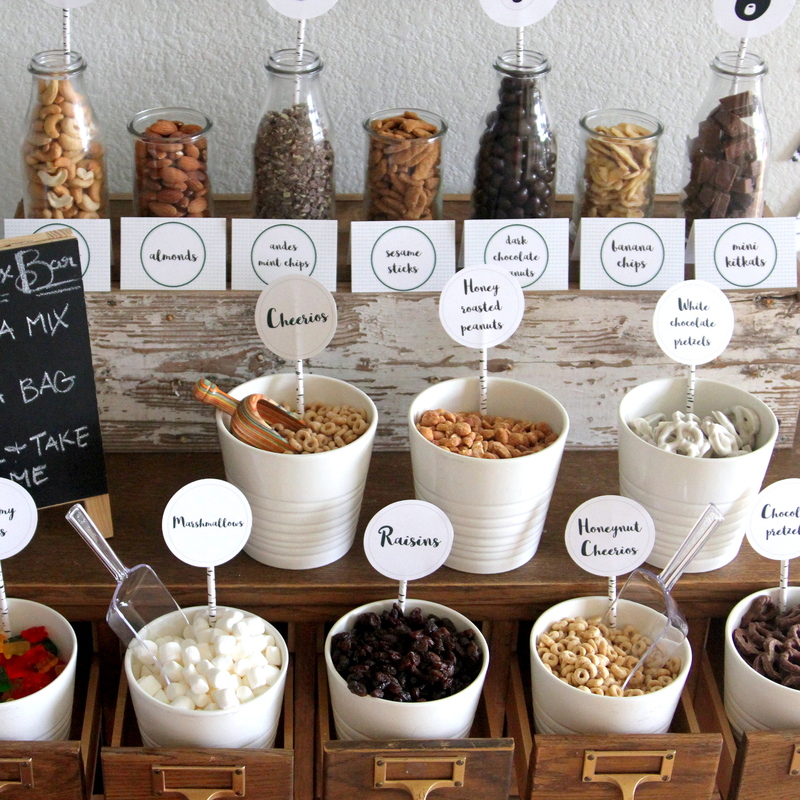 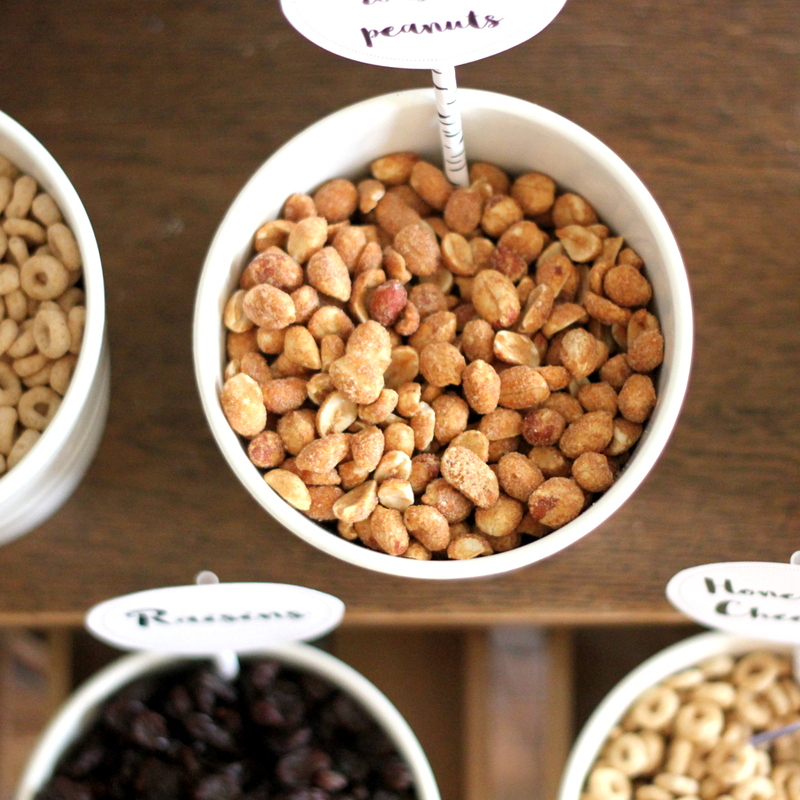 So it would follow that the best setup for a Trail Mix Bar includes a variety of each of these elements. 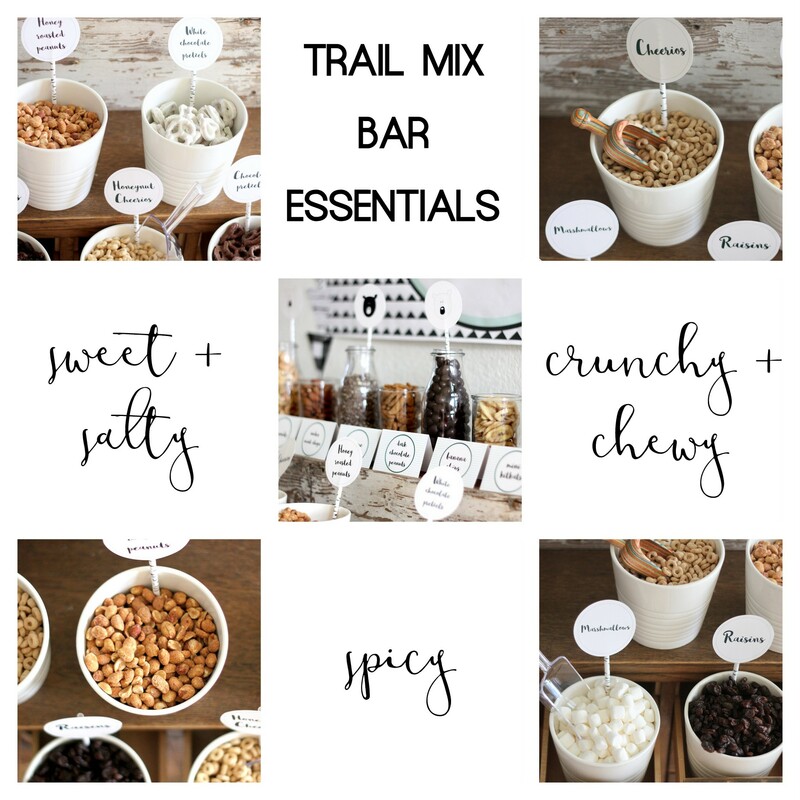 We didn’t include everything on this ingredient idea list, but it’s a good place to start if you’re putting together a Trail Mix Bar! 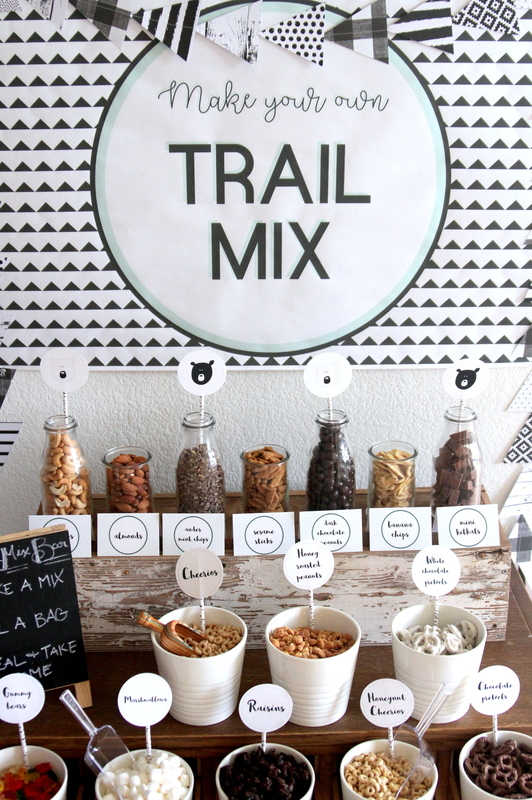 I noted this on the Bear Party post, but should probably reiterate that if you are planning a Trail Mix Bar, you might want to encourage adult supervision as trail mix bags are assembled. 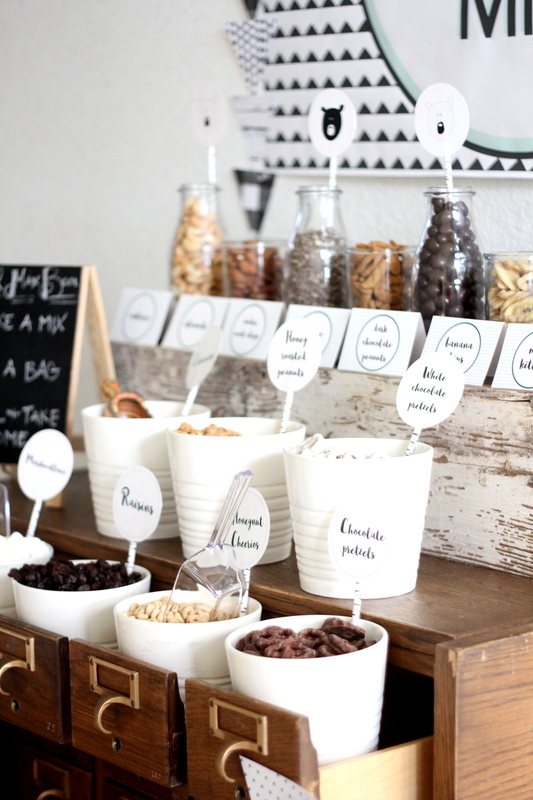 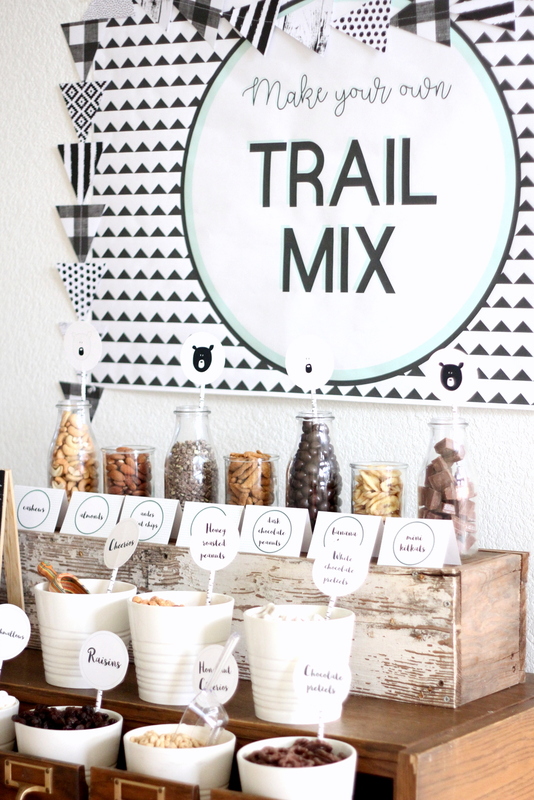 😉 We left this Trail Mix Station completely unsupervised and had tons of leftover staples (nuts, cereal, etc) and not a single gummy bear of marshmallow to spare- haha! 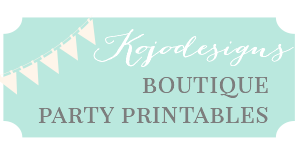 Fair warning.